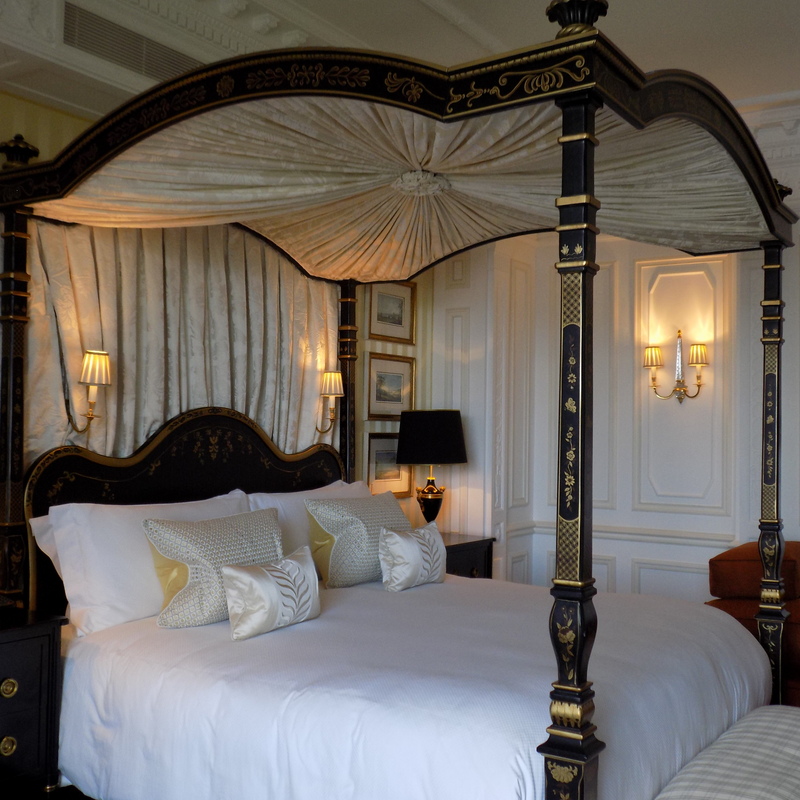 My husband and I recently had the pleasure of staying at the iconic Savoy Hotel to celebrate our Wedding Anniversary in May, you can read more about our stay here. 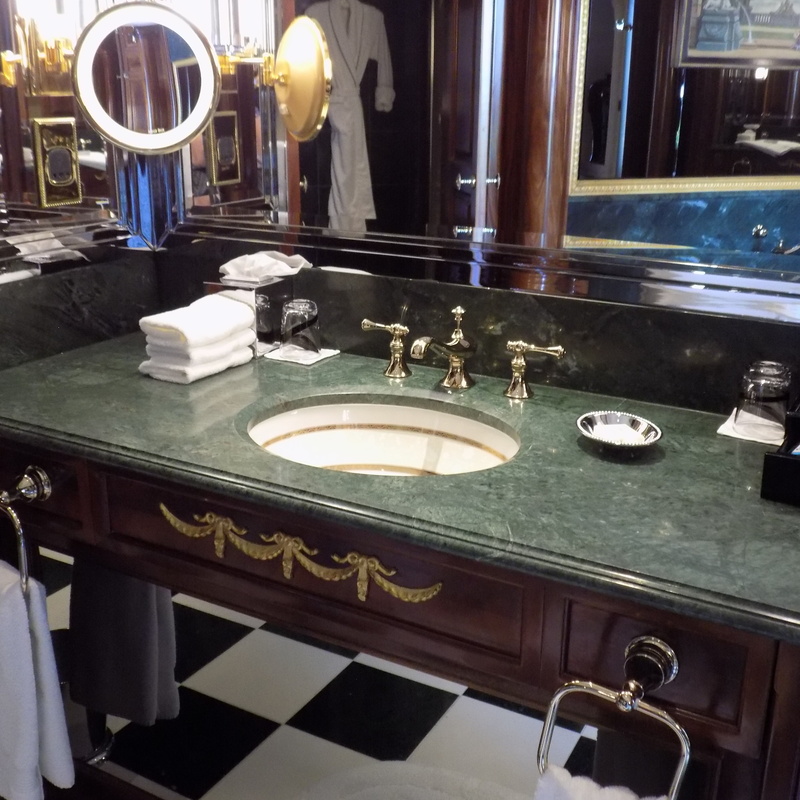 We had the most incredible time, the hotel is undoubtedly the most exquisite hotel I have ever stayed in and it isn’t just in terms of décor that I say this, the whole experience was faultless, we were made to feel like Royalty. 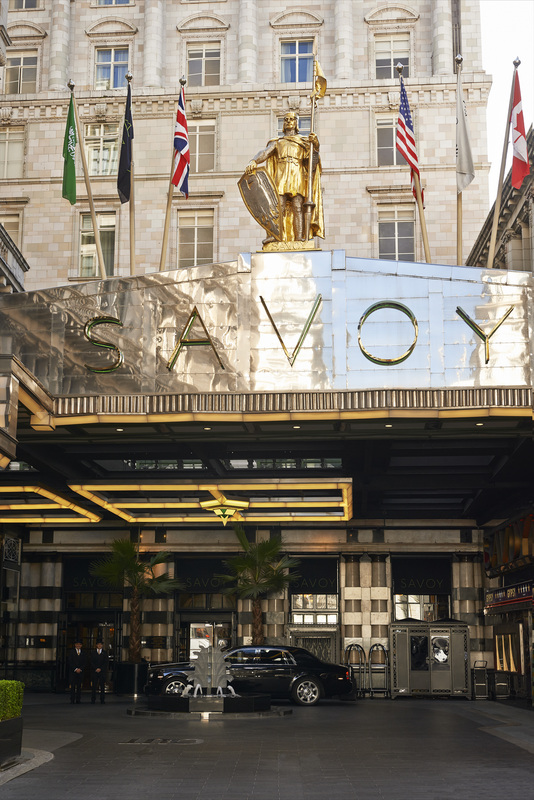 This is the extra special touch and magic that the Savoy bestow upon on all their guests but not all deluxe hotels have this gift – I felt it the moment I stepped foot inside the Savoy when I was welcomed by Guest Relations’ Shannon Lowe. 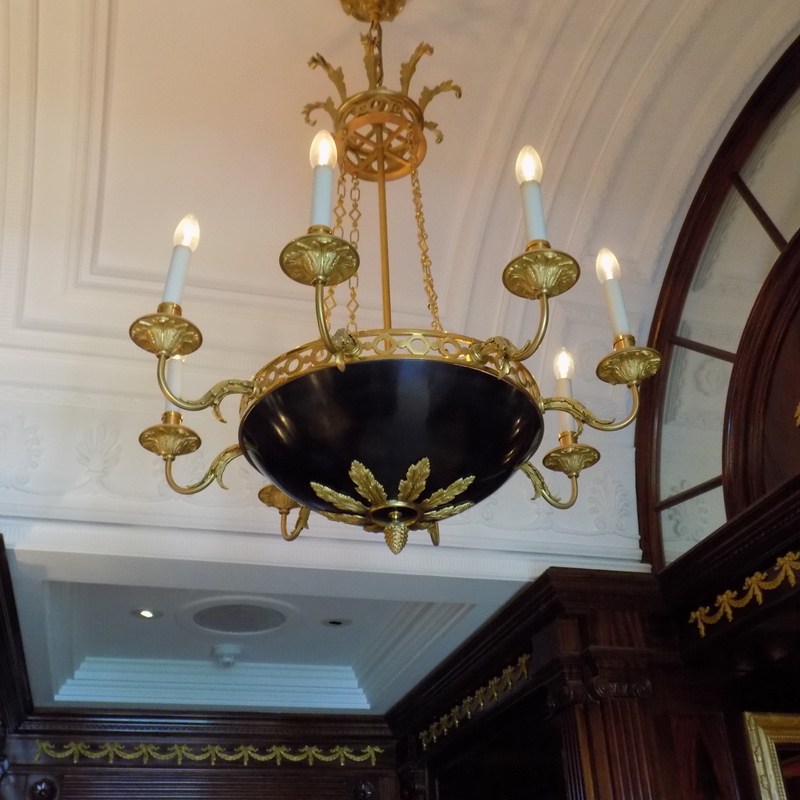 Shannon was kind enough to take me on a guided tour of the hotel which was pre-arranged, I wanted to learn all about the history of the hotel for my new blog which launched in June and I wanted to share my experience with you all. 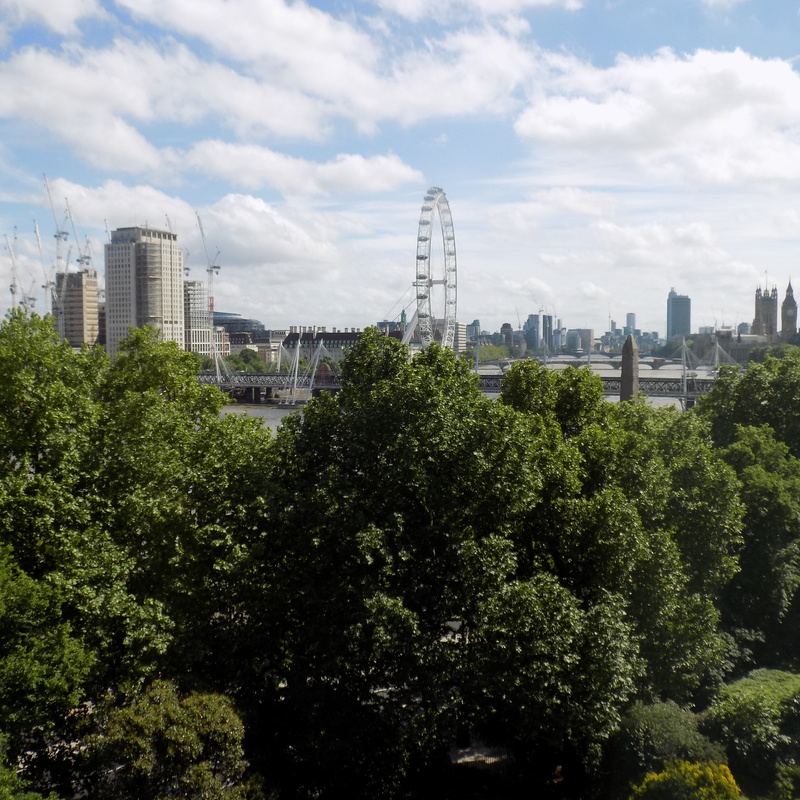 The hotel’s convenient location in the heart of the West End’s Theatre Land with the back drop of the River Thames makes it the ideal spot for any type of stay whether it‘s romance you‘re looking for, culture and art or business. Of course, if you happen to have a spare £10,000, that’s per night! you can stay at the Savoy’s Presidential Suite, let me look under the floor boards or round the back of the sofa to see whether there is a spare few grand…that’s what I thought when Shannon showed me round! I know unless a massive stroke of luck descends upon me, I will never ever have the chance to experience this ultimate in luxury and decadence but that’s ok, I felt privileged just to have look. This apartment oozes glitz and glamour, gilded gold excesses, it can almost be misinterpreted as vulgar, tawdry or tacky but it’s quite the opposite, it reminded me of the rooms in Dubai hotels but then, other than zillionaire celebrities’ I can only imagine rich Arab Royalty and dignitaries can afford extravagance at this expense. Still, that didn’t stop me from being completely blown away by it all, I think Shannon had to push my lower lip back up because it had hit the floor like you only see in TomandJerry cartoons, I’m showing my age now! 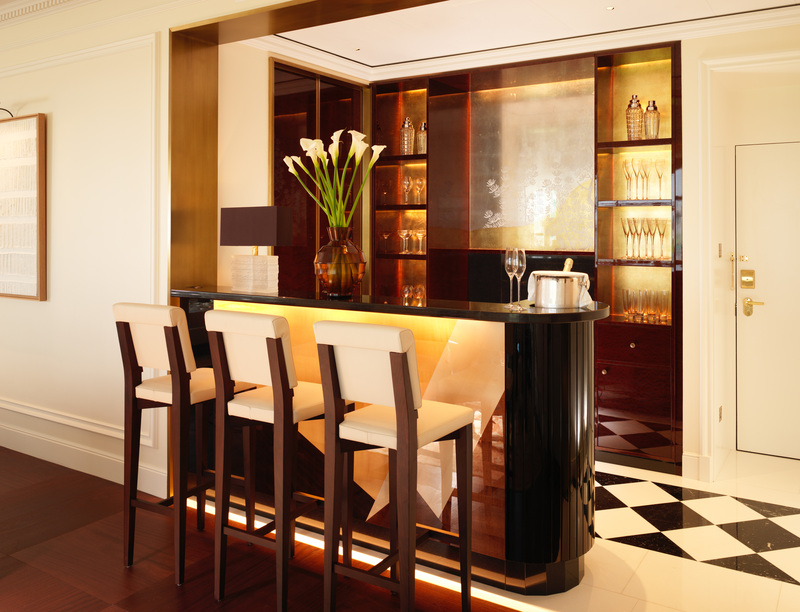 What greets you first is the lounge area with floor to ceiling windows, complete with your very own bar! Now we’re talking, I can really imagine me sitting here in the evening in a gorgeous gown sipping champagne while waiting for my lover (my husband, just getting carried away) to get ready for dinner and looking at the breathtaking scene opposite – the Shard, the London Eye, Canary Wharf and all the other famous London landmarks nearby standing proudly against the stunning backdrop of the River Thames shimmering in the dusky moonlight. Shannon asks if I would like to proceed and we move on, before I do, I must tell you that the big plush cream sofas are so comfy to sit on, you know the ones that when you fling yourself on, you land so elegantly because it’s like sitting on marshmallows. 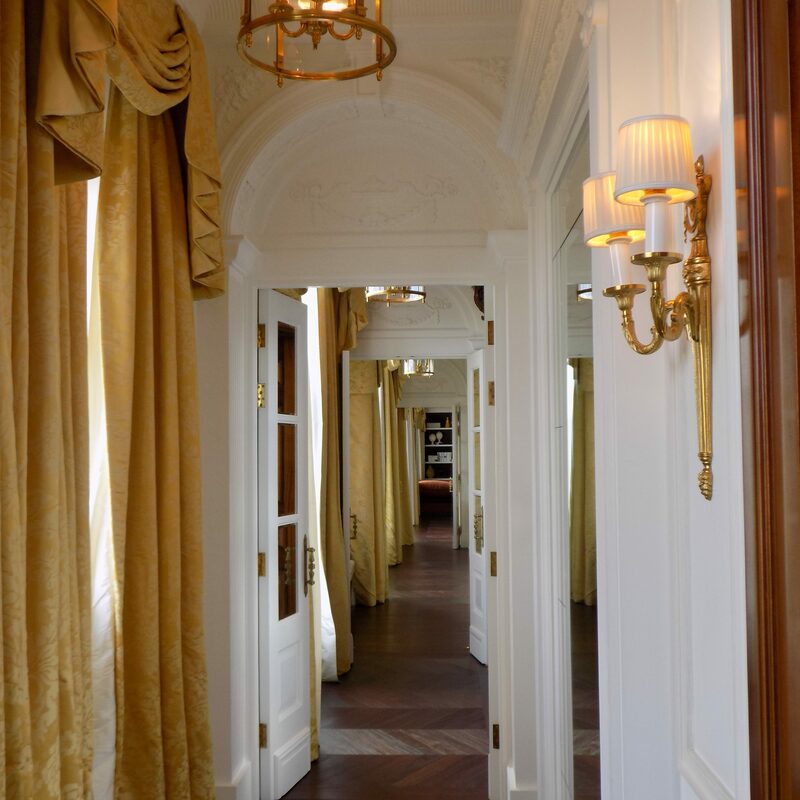 The hallway is very long and narrow, it’s amazing to look at it’s vast length, it gives you an indication of how big this apartment actually is, it lends a harmonious flow between all the rooms. 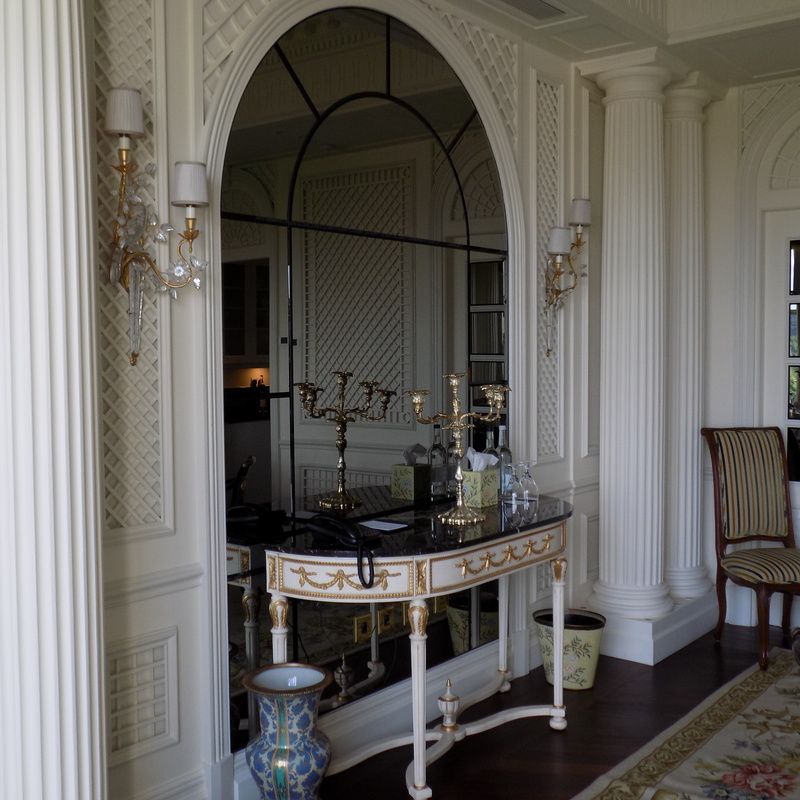 Off the lounge area is the main bedroom, bathroom and naturally, a walk in dressing room so big, Carrie Bradshaw would kill for it! The bedroom is gorgeous with the most magnificent stately four poster bed just fitting for a “King and Queen” I don’t think I would ever want to leave it, the gigantic flat screen telly which is behind a glossy wood cupboard and of course, everything is remote controlled. The bathroom has a huge deep sunken bath, there is a running joke between my husband and I about me laying in a bath once in Paris, it was so small, I couldn’t extend me legs so now every time we stay in a hotel I head for the bathroom and I shout to my husband “yay, I can extend my legs – or not” as is sometimes the case! 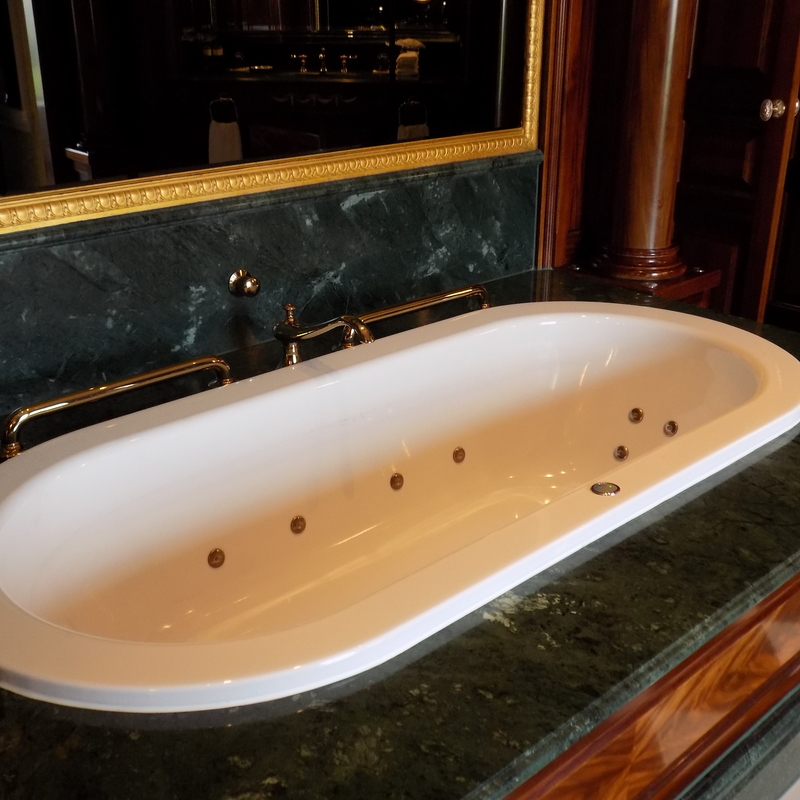 Well let me tell you, you can more than extend your legs in this glorious Jacuzzi bath, again I find myself daydreaming about a JoMalone bubble bath here with a glass of bubbly, bliss. So, to the walk in dressing room, it’s an absolute ambition of mine to have a bedroom with an en-suite and walk in wardrobe so I felt completely envious when I saw this and I reminded myself that I must be consistent with those lottery tickets but seriously, this was every girls dream. So large, there wouldn’t be any creased clothes or spending half an hour looking for the make-up or that handbag or blouse, just amazing. Off the main bedroom is another large guest bedroom which is necessary if you’re travelling with children and guess what, just off here you’ll find a mini kitchen! just in case you happen to have your own chef, I mean, who wouldn’t. 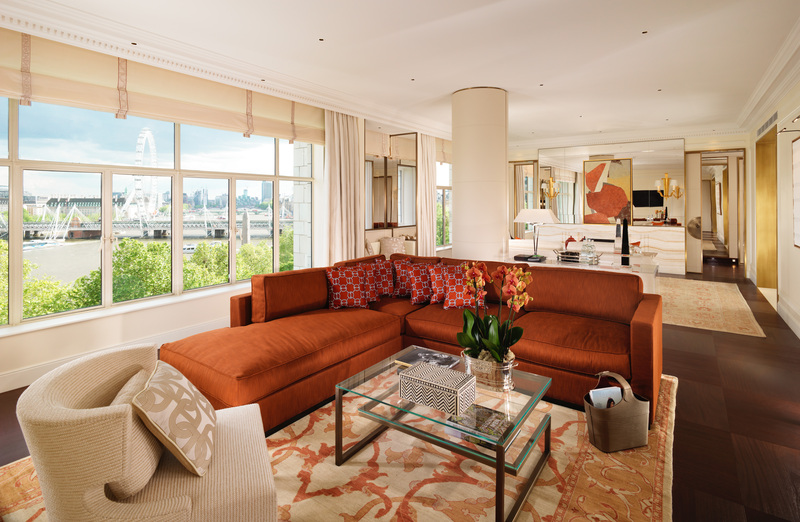 The bonus with staying at the Presidential Suite is having 24 hour access to your very own butler, concierge, chef, bartender, beauty therapist and stylist, even a personal shopper, the Savoy Hotel call this the Savoy Royal Entourage. To say I was gobsmacked is an understatement but then why should I be surprised? 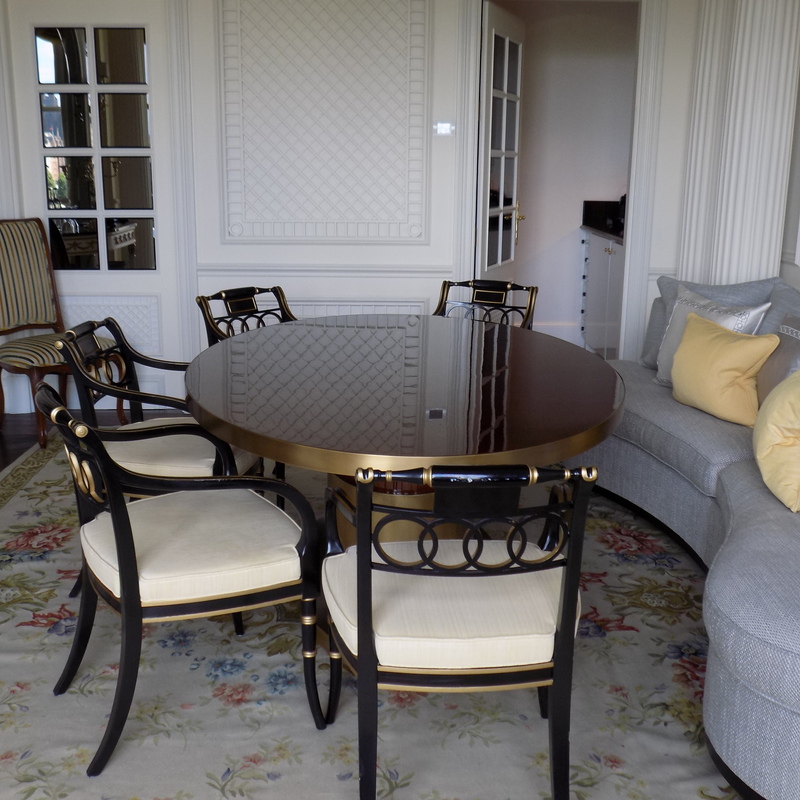 Everyone is part of the “Savoy Family” whether you are staying in the customary but charming Superior or Deluxe rooms, Junior Suites or the Presidential Suite, a home away from home in the most luxurious sense of the word. Shannon was a lovely host and I was forever grateful to her for spending an hour with me giving me the low down and the history of the hotel even taking me to the ballroom where there was a wedding taking place that very afternoon, what a lucky bride and how lucky were we to stay at the Savoy to experience the magic, the special touches that made our stay so very memorable even if it was just a Deluxe room, I still felt like a Princess because I was part of the Savoy Family. 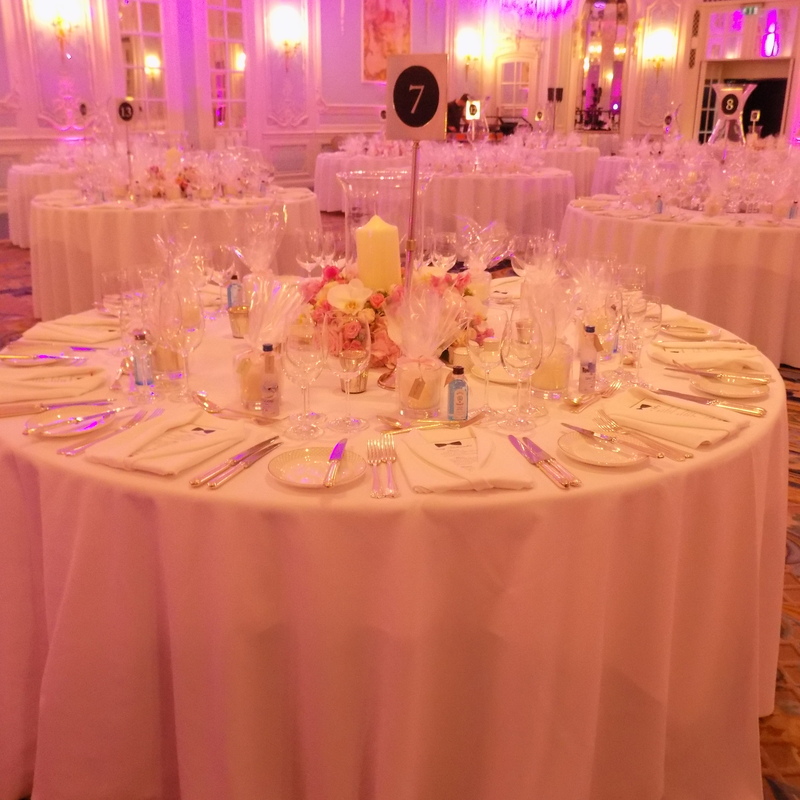 The ballroom decked out for a magical wedding which took place the day we stayed at the Savoy, 27th May 2017. A beautiful flowering tree dangling with name tags, little touches which made this wedding very special for the bride I’m sure. 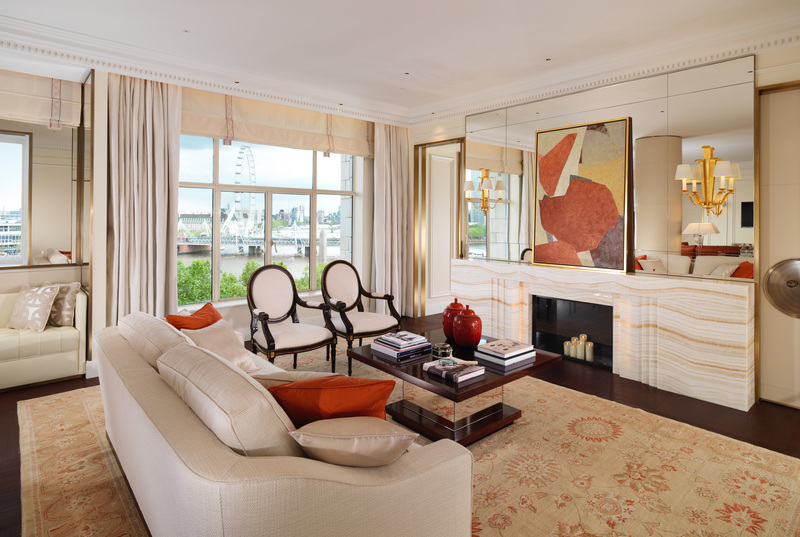 Foe a mere £10,000 per night, you can experience the Presidential Suite at the Savoy Hotel!! Now where’s that lottery win….